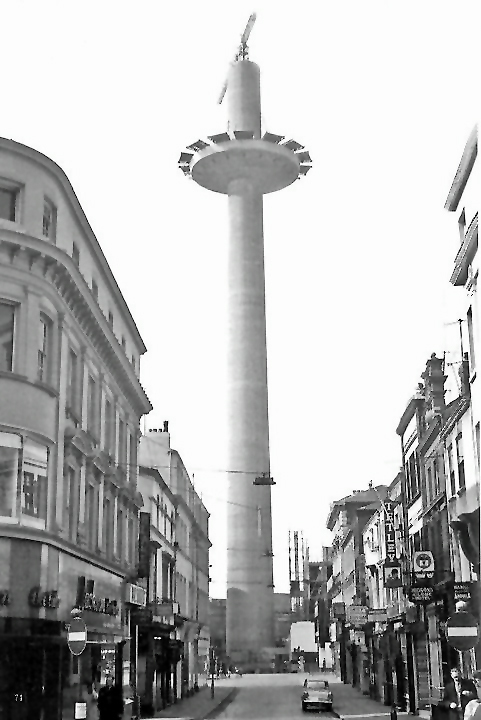 Radio City Tower (also known as St. John's Beacon) FTM Tower is a radio and observation tower in Liverpool, built in 1969 and opened by Queen Elizabeth II. It is 138 metres (452 ft) tall, and was built as a ventilation shaft for St. John's Market; however, it was never used as such owing to a new law passed in the year of completion. 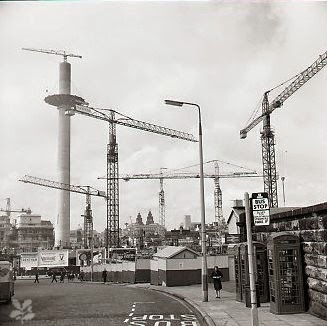 It is the second tallest free-standing structure in Liverpool and the 32nd tallest in the United Kingdom. Near the top of the tower was a revolving restaurant, the facade and floor of the restaurant revolving as one unit, while the roof of the restaurant was used as an observation platform for visitors. There are 558 stairs up to the top, and two lift shafts which reach the top in 30 seconds. The tower is structurally independent of the adjacent shopping centre, with a simple foundation onto sandstone. The foundation is 60 feet in diameter, 17 feet deep and begins 40 feet below Houghton Street. It has a tapering shaft that was built using slip-formed concrete. The crows nest structure at the top was then added after the shaft was formed. The original restaurant closed in 1977 due to health and safety issues. It re-opened as a "Buck Rogers" space-themed restaurant in 1983, but closed again due to lack of business. After this the observation deck and the restaurant remained closed. In the following years, the tower lay empty and derelict. 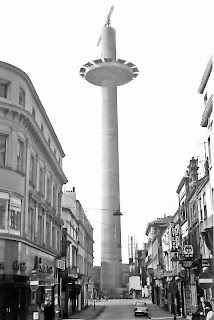 Often dubbed an eyesore or a "White Elephant", an attempt to increase its attractiveness was made when blue "UFO style" neon strip lights were added to the perimeter of the tower in 1994 (later removed upon refurbishment). The tower was refurbished in 1999 at a cost of £5 million. It reopened as Radio City 96.7 (and Magic 1548) in August 2000. The outdoor observation deck which had been located on the roof of the restaurant was transformed into a second floor; this now holds offices and conference rooms for the radio station. The studios are on the lower floor that used to be the restaurant. The original revolving structure and machinery were left intact during the refurbishment. Brackets were added to lock the moving structure in place. The refurbishment added an advertising framework at the top of the tower designed for both a fabric banner and illuminated light boxes. However, advertisements have only appeared infrequently, with Smirnoff and the Ford Motor Company being among the companies to have displayed advertisements there. Most recently the framework was used for a banner during the European Capital of Culture celebrations. 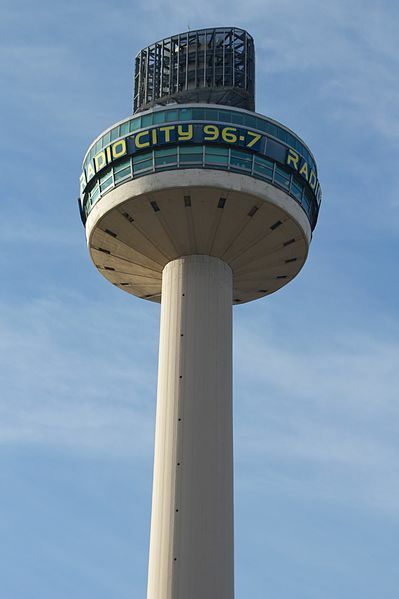 The roof is home to the local Digital Audio Broadcasting multiplex for Liverpool, but Radio City, Magic, and City Talk do not directly broadcast from the roof. The Tower is open to the public every day.